The Great Exhibition of the Works of Industry of All Nations, the first world's fair, was held in London in 1851 in a temporary building constructed especially for the event. Named the Crystal Palace, the structure so amazed and impressed the public that after the exposition ended, the building was dismantled and moved to a permanent site at Sydenham. 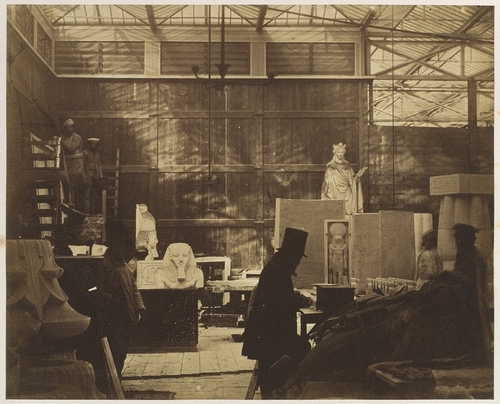 The major commission of Delamotte's career was the photographic documentation of the reconstruction of the Crystal Palace -- one of the earliest uses of photography for reportage.